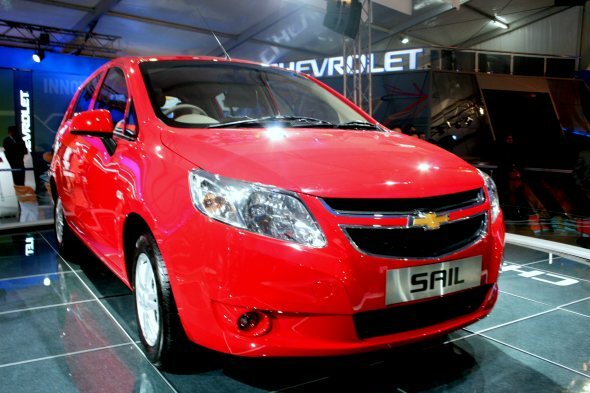 Chevrolet Sail hatchback to replace U-VA – Photo Gallery from Auto Expo! 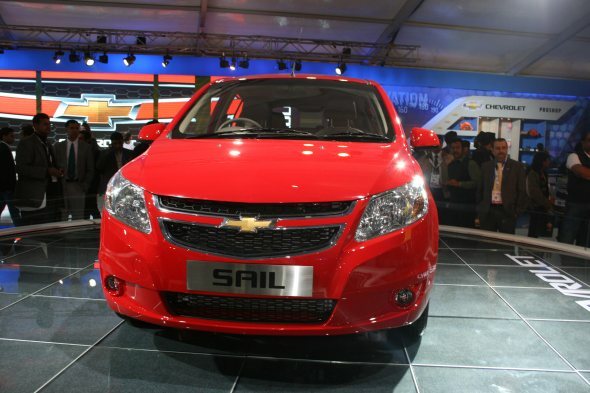 General Motors (GM) unveiled the Chevrolet Sail hatchback at the 2012 Delhi Auto Expo. When launched, the Sail hatchback will compete with the Maruti Suzuki Swift and the Ford Figo. The Sail comes with the Chevrolet family bowtie grille at the front and side swept headlamps. The lower air dam is trapezoidal in shape, while the bumper houses round fog lamps in the far corners. The side profile of the car shows that the Sail has a pretty long wheelbase and a rising shoulder line, with a thick C-pillar. 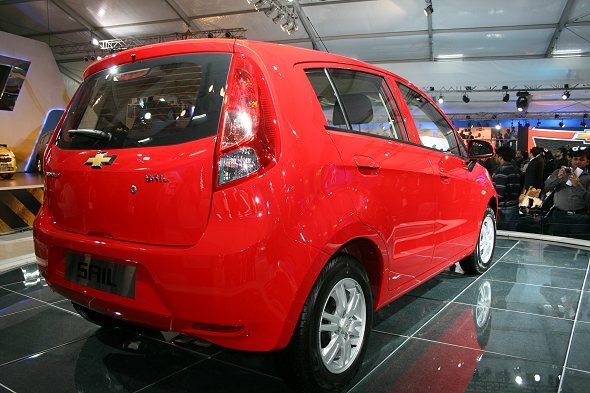 The rear design is quite simplistic with high mounted tail-lamps like the Ford Figo and Fiat Punto. The rear hatch looks quite compact when compared to some of the other hatchbacks. 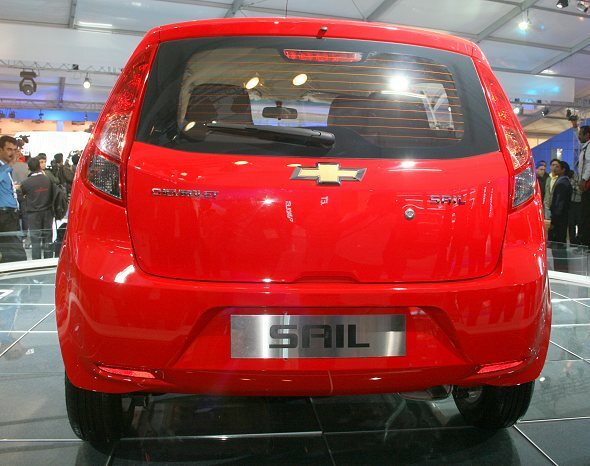 The Sail is likely to be powered by a 1.2 litre petrol engine similar to the one that powers the Chevrolet Beat. It will also likely have a choice of a diesel engine, but no specs were revealed at the Expo. Viewed from the rear the Sail hatchback vaguely resembles the Fiat Punto as well as the Ford Fusion, but it does look quite stylish.